Disclaimer: Hiking can be a dangerous activity and should be undertaken with caution. 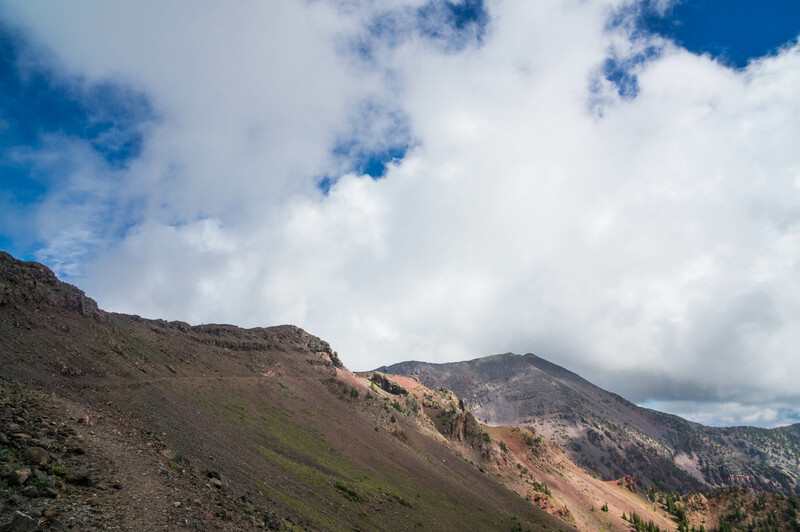 It is your responsibility to study routes, alert others to your plans, assess local conditions, bring the appropriate gear, and assure that these hikes are within your ability level before attempting any hike. Difficultly levels are subjectively assigned by me from personal experience on each trail at the time I hiked it, and may not be reflective of your experience level or physical fitness. This entire list could be in the Mt. Baldy Wilderness. You can make any hike you want here. A good sized loop with thousands of feet of elevation gain/loss? Check. Comfortable overnight backpack? Yep. Just want to play in a stream? You can do that here. Even better, the West Fork of the Little Colorado River, provides premier small stream Apache trout fishing (Editor’s Note: It appears AZGFD will not be stocking the stream AGAIN this year, so consider other streams in the area if fishing is your priority.). To keep this hike in the “easy” category, take the West Baldy Trail a few miles and turn around before the trail really starts climbing. Update: As of the time of this writing (June 14, 2017) large portions of the Cabin Loop are closed due to the Bear and Highline Fires. Read more about these fires HERE and HERE, respectively. Normally this slot was reserved for the delightful Huston Brothers Trail. Unfortunately the 2016 Pinchot Fire burned almost the entire length of Huston Bros, and although InciWeb describes the fire as “Low Intensity,” I don’t feel comfortable recommending anything in the burn area until I have checked out the trail myself. Stepping in is another trail from the criminally under utilized, Cabin Loop trail system, the Fred Haught Trail. 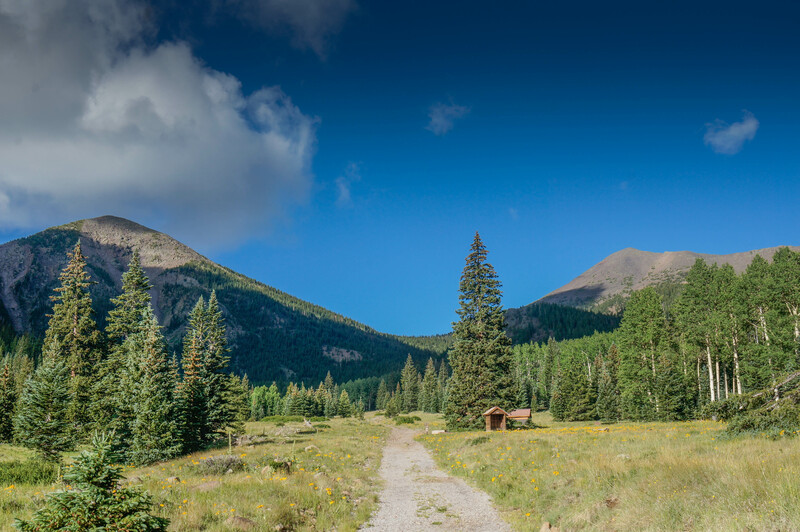 Starting from General Springs at a little more than 7000′, the Fred Haught Trail initially climbs one small hill before following a wide open, gradually sloped creek bottom that occasionally has water but is always dwarfed by ancient Ponderosa pines. The best turn around point is Fred Haught Cabin, which a little way’s off the trail but worth the trip. After Fred Haught Cabin expect a few steep, non-kid friendly climbs, and some burned area near the trail’s end. Best to turn around here. First the bad news: there are not a ton of easy hikes high enough to get you completely out of the ridiculous heat. The Horton Creek Trail is no exception: gradually climbing from from 5500′ to 6500′, temps will climb up into the 90s on the hottest days. Lucky for you, you don’t have to go then. Instead pick out a nice day when Phoenix temps drop down to the lower triple digits and get ready for a beautiful walk along a stream to an absolutely roaring spring. Which brings us to the good news. This place is gorgeous. Wonderfully riparian, tightly wooded in many areas, and almost always shaded, Horton Creek consistently rewards you with great views and play-in-the-creek opportunities. For the more discerning outdoors-person, the stream has a decent brown trout population, though recent droughts have reduced numbers significantly. Better yet, the trail head is less than two hours from Downtown Phoenix, making Horton Creek a legit destination for those Saturday mornings when you wake up without a plan. And because these three problems actually work together to make Aravaipa a doable summer hike. Since there is no trail you will be walking in the stream the whole time, and this helps keep you cool. Also, as the heat and the peak storm times tend to coincide in the afternoon, you can usually avoid both by making this a morning hike. So get to the trailhead at dawn, head as far as you want, and be sure to turn around early enough that you are back to the car before it heats up or the sky gets cloudy. Warning: Its dangerously hot. The area also regularly experiences flash floods. There are no trails in the area. Permits: Permits must be acquired in advance. They are generally available on short notice in the summer and you can acquire them HERE. Update: As of the time of this writing (June 14, 2017) the Ash Creek Trail is closed due to the Frye Fire. Read more about this fire HERE. This is a climber, but it is well shaded, short, and high, which together put this hike on the tougher side of moderate in my book. Spoiler Alert: it looks like a duck on a rock. Warnings: Though this hike is fairly high there is little shade and lots of thunderstorms. Avoid the mid-day heat, bring lots of water, and make sure not to be in the open when lightning strikes. The trail then, for reasons which will never be adequately explained, takes you all but up and over Humpreys nearly as tall neighbor peak, Agassiz Peak (you can’t climb Agassiz Peak, as it is a protected area for Arizona’s only tundra), before dropping you viciously down to Agassiz Saddle. Here you will join the peons who have been schlepping up the Humpreys Peak Trail before pushing on past multiple false summits, and recovering all the elevation you gave up coming down from Agassiz Peak to Agassiz Saddle, to reach the tallest point in Arizona, Humpreys Peak at 12,637 ft. If you are really lucky, and the sky’s are clear, you’ll be able to see the Grand Canyon from the top. Warnings: Thunderstorms killed hikers on Mt. Humphreys last summer. Watch the weather and don’t get caught above treeline in a storm. 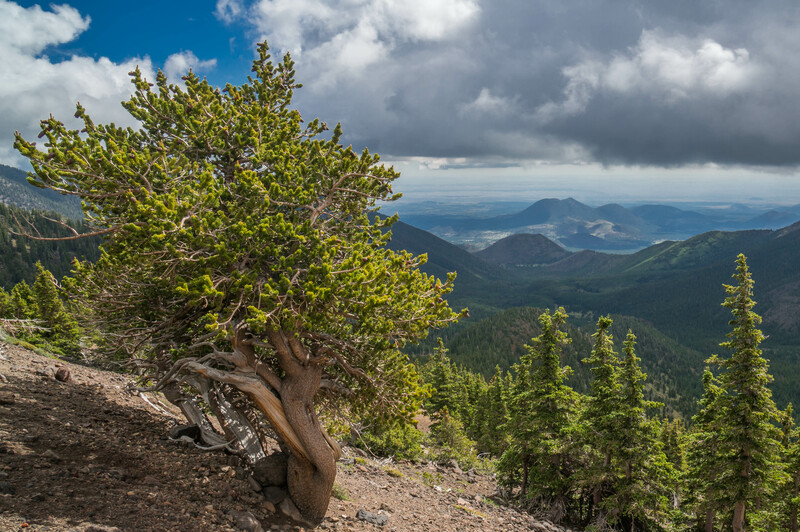 Humphreys Peak can remain snow packed and inaccessible until late summer. If you liked the sound of Mt. Baldy, but wanted something a little more challenging your best option is to hike the entire wilderness in a loop. I recommend starting at the East Baldy Trailhead. You’ll begin in a wide meadow, but this quickly gives way to switchbacks. These will wear you out a little bit. At the top of the switch backs you’ll be rewarded with some of the best views in Arizona. Continue along a fairly moderate grade until you reach the West Baldy Trail, near the summit of Mt. Baldy itself. The summit is on Tribal land and is off limits to non-tribe members. From there descend along the West Baldy Trail and connect back to the car along the Mt. Baldy Crossover Trail. The views will only get better along the way. Warnings: This is another hike with significant lightning risk. Watch the weather and don’t get caught above treeline in a storm. Cabin Loop excepted, that’s all that comes to mind. Anything I missed? I live in the valley and currently have a roadtrip planned this weekend…I need a recharge! I’m driving up North to Flagstaff, traveling East on Route 66 and heading into the White Mountains. I already had plans to hike Mt. Humphreys as well as Mt. Baldy Crossover Trail, but your excellent reviews and photos have me even more EXCITED for my trip ahead!! Thank you and I look forward to checking out new and different hikes because of Lesser Places. Thanks so much, Danielle! Watch out for thunderstorms on Humphreys and Baldy this time of year. Have fun and enjoy getting out of the heat!